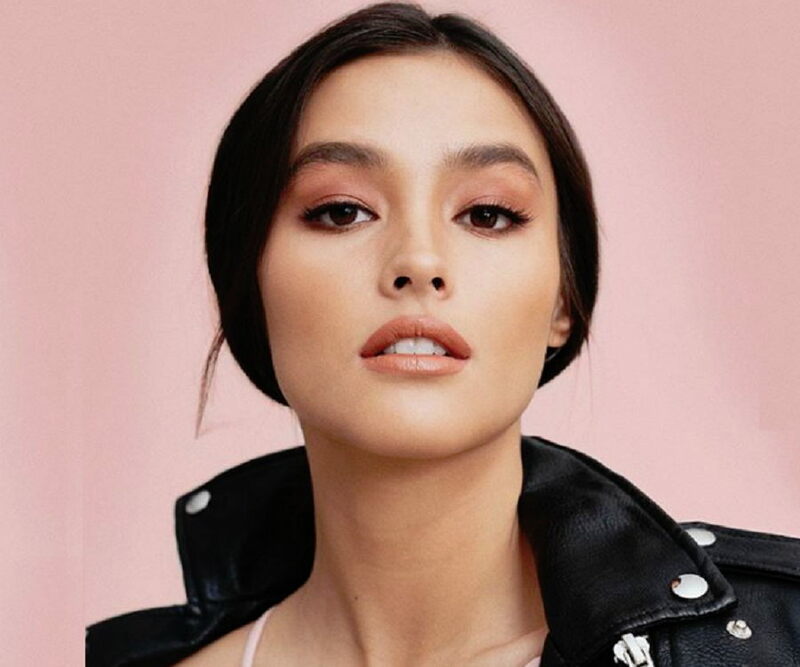 Hope Elizabeth ‘Liza’ Hanley Soberano is a Filipino-American actress and model. This biography profiles her childhood, family, personal life, career, achievements and some interesting facts. 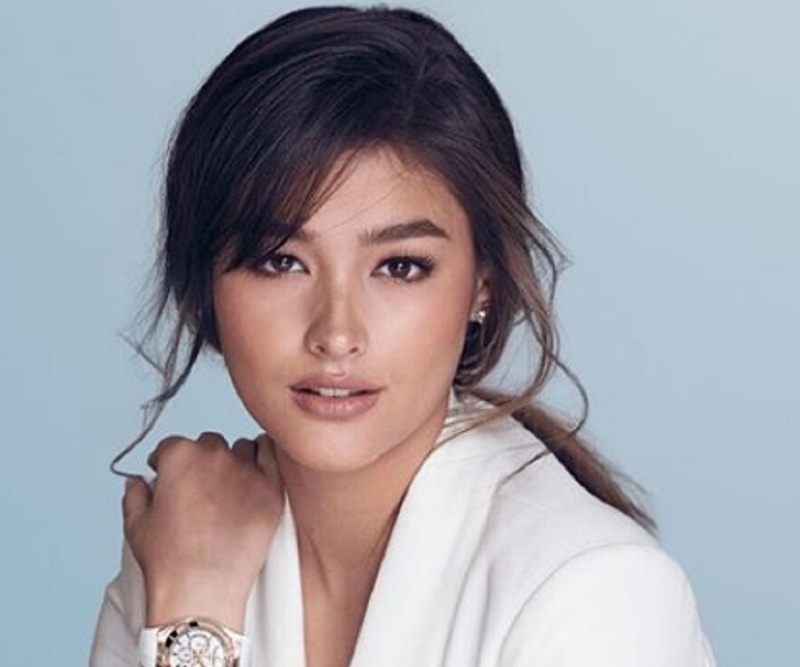 Hope Elizabeth ‘Liza’ Hanley Soberano is a Filipino-American actress and model best known for television series ‘Forevermore’ and films ‘Just The Way You Are’, ‘Everyday, I Love You’ and ‘My Ex and Whys’. This pretty and charming diva, counted among the most beautiful actresses in the Philippines, started getting modeling offers when she was just 12. 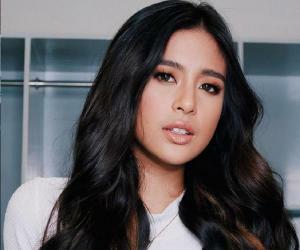 By the time she attained teenage she made her acting debut with the Philippine fantasy-drama, comedy anthology television series ‘Wansapanataym’ in 2011. Her breakthrough came with the ABS-CBN aired Philippine romantic drama television series ‘Forevermore’ (2014-2015) that established her hit pair with Filipino-Spanish actor and dancer Enrique Gil. The romantic reel pair, referred as LizQuen, was considered "Breakthrough Love Team of 2015" on Philippine primetime TV by ABS-CBN and Star Cinema. LizQuen then went on to feature in many other notable productions including in films ‘Just The Way You Are’ (2015), ‘Everyday, I Love You’ (2015), ‘My Ex and Whys’ (2017), and TV series ‘Dolce Amore’ (2016). She will be also seen starring along with Gil in the upcoming TV series ‘Bagani’. She will portray the popular Filipino comics’ fictional superhero Darna in an upcoming Erik Matti film bearing same title. Liza was born on January 4, 1998, in Santa Clara, California, United States, in the family of John Castillo Soberano, a Filipino and Jacqulyn Elizabeth Hanley, an American. Liza holds citizenship of both the Philippines and the United States. After her parents separated, Liza was brought up by her grandparents in Visalia, California. 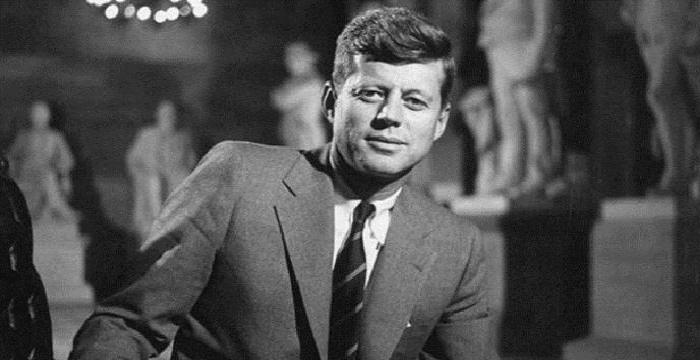 When she was ten she went to live with her father and relatives in Manila. She has two sisters, Leilani Sue Elizabeth Osorno and Kaycee Logan Nguyen, and four brothers, Justin David Soberano, Nathaniel Larry Osorno, Dustin David Nguyen and Jaden Parker Nguyen. On July 24, 2015, she became a Roman Catholic along with her brother, Justin David, after going through the Christian initiation rites. The same year she completed her high school graduation from St. Patrick’s School in Quezon City. 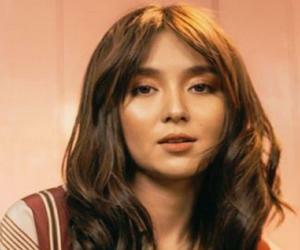 She was interested in pursuing a degree in psychology before studying at a law school, but her packed showbiz pursuits led her to enrol at Southville International School affiliated with Foreign Universities and pursue an online business management course. However, she has not yet given up the idea of studying psychology and expressed to take-up a course whenever possible. Following her relocation to Manila, Liza, merely 12, started getting modelling offers for print advertisements. Her first on-screen feature was in a cameo as Barangay Audience in the Philippines’ longest running noontime television variety show ‘Eat Bulaga!’ in 2010. She caught the attention of a talent scout at 13 and got introduced to Filipino actor, comedian and show business reporter, Ogie Diaz. The latter is the present talent manager of Liza. Her initial showbiz struggles included her inability to speak Tagalog. Her talent manager advised her to get a grip in the language so as to earn good roles in both films and television. 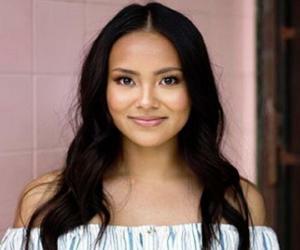 Her acting debut happened at 13 with the October 2011 aired episode ‘Mac Ulit-Ulit’ of the Philippine fantasy-drama, comedy anthology television series ‘Wansapanataym’. The year that followed saw her playing a minor role of Claire Raymundo in the Philippine daytime television drama ‘Kung Ako'y Iiwan Mo’ and Young Gladys in the episode titled ‘Singsing’ from the Philippine drama anthology series ‘Maalaala Mo Kaya’. She made her feature film debut in 2013 in the supporting role of Angel Gomez in the Filipino coming-of-age rom-com ‘Must Be... Love’. Other acting pursuits of Liza in 2013 included the supporting role of Gillian in Filipino romantic melodrama film ‘She's The One’, Dahlia in ‘Flores De Yayo’ episode of the TV series ‘Wansapanataym’ and Una in ‘Box’ episode of TV series ‘Maalaala Mo Kaya’. Since 2013, she has also remained the co-host and performer of the ABS-CBN aired longest-running television musical variety show in the Philippines called ‘ASAP’. Her first lead role that also marked her real breakthrough was that of Maria Agnes Calay, a farmer’s daughter and the main protagonist in the Cathy Garcia-Molina directed Philippine romantic drama TV series ‘Forevermore’. ‘Forevermore’ aired on ABS-CBN for 2 seasons from October 27, 2014, to May 22, 2015. It not only garnered Liza immense popularity but also established her romantic reel pairing with actor Enrique Gil. They are together referred as LizQuen. ABS-CBN and Star Cinema regarded this pairing as Philippine primetime television’s "Breakthrough Love Team of 2015". The hit pair of Liza and Gil then went on to create magic in the Theodore Boborol directed Filipino teen romantic comedy-drama film ‘Just The Way You Are’ that released on June 17, 2015. The film was based on the Wattpad book titled ‘The Bet’ and succeeded at the box-office. She then went on to play the lead role of Audrey Locsin in the Mae Cruz-Alviar directed Filipino romantic-drama film ‘Everyday, I Love You’ that released on October 28, 2015 and emerged as a critical and commercial success. She starred alongside Gil and Gerald Anderson in the film and once again thrived in creating on-screen romantic chemistry with the former. LizQuen furthered their fame with the Philippine romantic drama television series ‘Dolce Amor’ that aired on ABS-CBN for 3 seasons encompassing 137 episodes from February 15, 2016, to August 26, 2016. That year their hit pair won the ‘Most Popular Love Team of Movies and TV’ award at the 47th GMMSF Box-Office Entertainment Awards. Liza signed as Maybelline’s new face in 2016 which was announced in August that year. The 2017 romantic comedy drama film ‘My Ex and Whys’ once again featured the hit pair of Liza and Gil in the leads. The film that grossed ₱410,000,000 worldwide (US$8.1 million) so far remains the highest-grossing flick starring Liza and Gil. Till present it also remains the highest-grossing Philippine film of 2017. Rising popularity of Liza has seen her getting several endorsement deals. She also appeared in website of ‘Vogue’ in July 2017. She will be seen playing Darna in Erik Matti's upcoming film adaptation about which she confirmed in May 2017. She will also re-create her on-screen chemistry with Gil in the upcoming television series ‘Bagani’ that is set to premiere in 2018. Liza’s on-screen love interest Enrique Gil admitted of having a feeling for her in January 2015. Later while giving an interview on ‘Tonight with Boy Abunda’ in 2016 he acknowledged the fact that the two have started treating each other as sweethearts. Although Liza maintains that it’s not official yet, the two say they are waiting for the right time.